After setting a goal to read twelve books from The Great American Read list last month, I dove into three classics that made the list along with several others for a whopping nine books this month. This is pretty surprising since it was a busy month (which included buying our first home!!!) but I have said it before and will say it again: audiobooks are the secret! I know not everyone likes audiobooks but for me, I love hearing a good narrator read novels aloud and listen during jogging, chores, driving, and cooking, which is how I get through them pretty quickly. I've avoided this book for a while since many people who have adored other Brontë novels disliked this one, but finally decided to give it a chance since it is on The Great American Read list. I was delightfully surprised! Don't get me wrong, there were hardly any likable characters. The main two characters are deeply flawed and make destructive, selfish, irrational, and frustrating decisions with lasting consequences for all those around them. And the story is dark and twisted, with seemingly no redemption for a majority of the tale. And yet, I thought it was fascinating. The narration style was creative and the setting of the bleak Yorkshire moors added to the gloomy mood. Heathcliff is bitter, brooding, vindictive, and lacking a morsel of kindness. 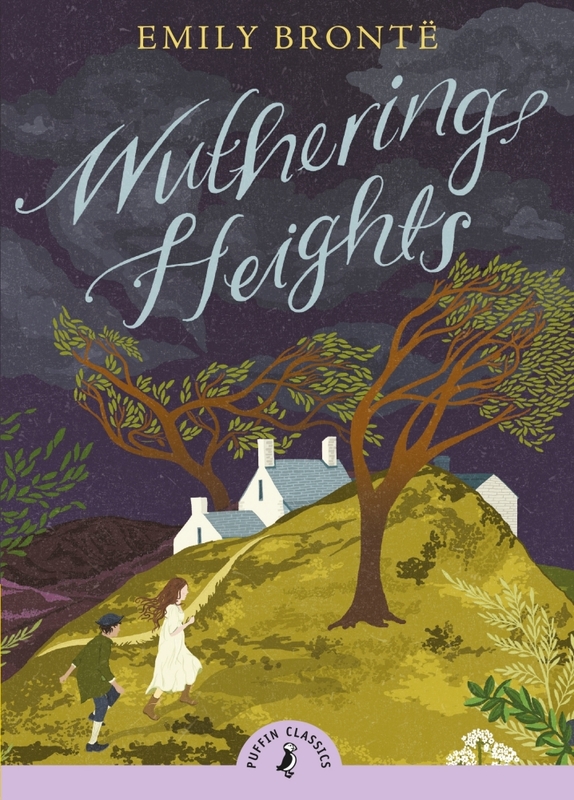 He falls madly (emphasis on mad) in love with the self-absorbed Catherine, who chooses the social class and riches of gentle Edgar Linton over Heathcliff, leading to vengeance being carried out by the sinister Heathcliff on those dearest to Catherine and Edgar. Heathcliff is no Rochester, Darcy, or Knightley, so don't expect to do any swooning. There is no #TeamHeathcliff. He is utterly deplorable; one of my least favorite characters in literature. And yet, though there seems to only be darkness, there are also hints of hope despite these two treacherous protagonists ruining almost everything in their wake. It says a lot about the skill of an author when you can carry a novel (that becomes an enduring classic) with two horrible protagonists since many people (myself included) like to root for and connect with the main characters. Emily Brontë's writing was rich, suspenseful, and engrossing. I am glad I gave it a chance. This is one of the 100 books of The Great American Read! 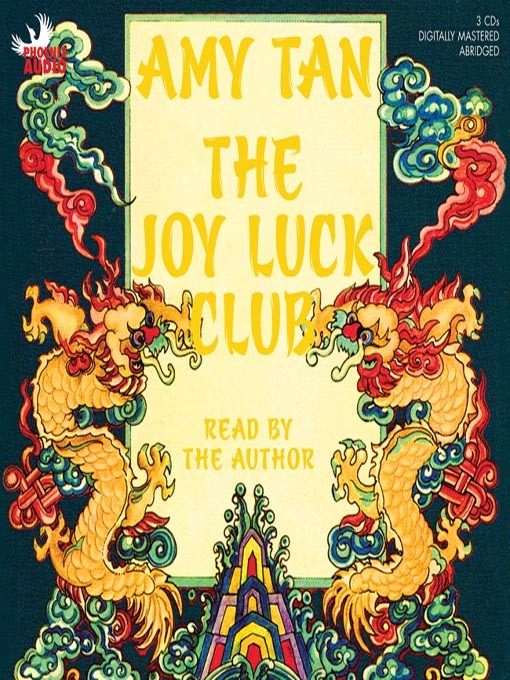 Four immigrant Chinese women started meeting in 1949 to share a meal, play a Chinese dice game, and talk, calling themselves The Joy Luck Club. When one passes away, her American-born daughter struggles to carry the mantle while uncovering long-held secrets about her mother. She shares the stories -- filled with sadness, regrets, but also hope and humor -- of the remaining women and their relationships with their own daughters. 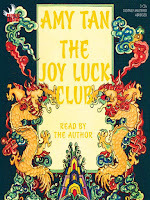 This was an enjoyable novel to listen to, especially since I love hearing stories about people from different cultures and experiences than my own, but also could relate to some parts of their immigrant experiences. It seemed disjointed and rushed at times and I realized the reason once I finished it: the Overdrive copy available at my library is the abridged version. It was a bummer to find out that there were many more stories I missed out on, since the ones that were included helped me understand more about Chinese women, both during the Sino-Japanese War as well as in America as recent refugees. However, I am not sure if I enjoyed it enough to re-read the full version that is at least twice as long. 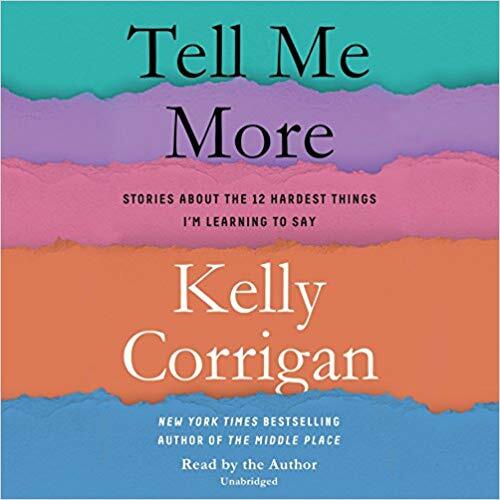 After the recent death of a best friend and her father, Kelly writes about the twelve phrases that are helping her wade through the muddy waters of grief. In her chapter titled "I Don't Know" she reflects on letting go of the need for certainty and admitting she doesn't have all the answers. A beautician exemplifies active listening by saying the three short words that are also the title of the novel, Tell Me More. 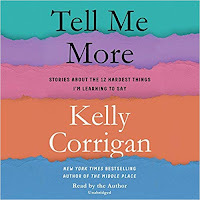 Kelly admits a really crappy (literally) mistake where she needs to apologize for her wrongful accusations against her daughter in the chapter titled I Was Wrong. Other essays titled It's Like This, I Know, No, Yes, Good Enough, I Love You. My favorite, which had me ugly-crying, was her deeply moving letter to her best-friend Liz one year after her death, mostly focused on how Liz's children and husband are coping. She mixed humorous, mostly self-deprecating stories with thoughtful prose. It was definitely gut-wrenching at times but there was also a lot of hope and helpful thoughts on coming alongside those who are enduring suffering. Beware, Kelly has a severe potty mouth. I can usually take a bit of cussing in books, but this was too much for me and was a distraction. MY RECOMMENDATION: If you are looking for a book about end-of-life questions and how to be supportive during that time, I would say two better picks are Everything Happens for A Reason by Kate Bowler and When Breath Becomes Air by Paul Kalanithi. At the age of nineteen, Chelsea was told by a doctor that she will never be able to get pregnant. The grief and sorrow she experienced from letting go of the dream to carry her own children threatened her faith in God. Over the years, she still longs for motherhood but can now come alongside others who are experiencing childlessness for different reasons such as infertility, miscarriages, or prolonged singleness. This book is a powerful and heartfelt resource that reminds women they are not alone in their pain. Chelsea doesn't shy away from grief, loneliness, and sorrow. The first half of the book is centered on validating those painful emotions rather than ignoring or avoiding them. So much of these chapters were applicable to general grief, sorrow, and loneliness as well as the specific experience of not being able to get pregnant. She then moves on to one of the best explanations I have ever read about the hope we have in Jesus (an assurance of something you can lean on and trust) versus the earthly term of longing for an uncertainty ("I hope it is sunny tomorrow") in the chapter titled We Have This Hope! 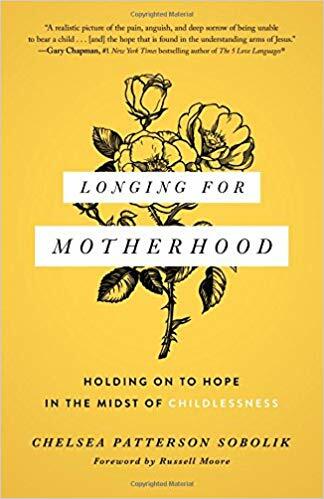 She provides practical ideas for "living out the longing" for motherhood by serving others (such as mentoring) and finishes with a chapter on how our communities can care for those struggling with infertility or other forms of childlessness. Chelsea is honest about her struggles and does not try to appear like she's figured this whole thing out and she understandably still struggles with longing for motherhood. Her honesty and vulnerability coupled with Scripture-focused explorations of grief, suffering, hope, and healing make this book a valuable resource for anyone who is either experiencing the heartbreak of childlessness or who desires to learn how to serve them better. 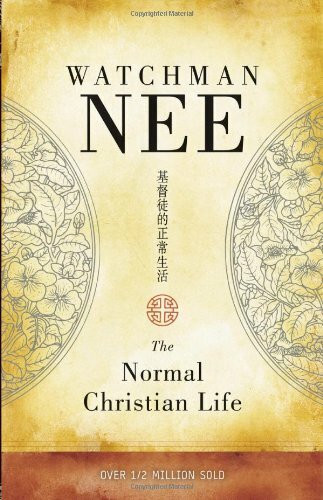 Watchman Nee became a Christian in college in the 1920s and over the following decades, became a widely known preacher in China. Published in 1957, The Normal Christian Life is a compilation of a series of sermons on the foundational principles of Christianity through an exegesis of the first eight chapters of Romans. He breaks down these chapters into two parts (Romans 1-5:11 deals with the sins that humanity has committed against God while Romans 5:12-8:39 looks at the remedy of our sinful nature: the blood and cross of Jesus). He also outlines what he calls the Path to Progress, four steps for Christian living: knowing ("opening of the eyes of the heart to see what we have in Christ"), reckoning (considering the facts as solid faith in Jesus' work at the Cross by His atoning blood), presenting ourselves to God (consecration to live for Christ rather than ourselves), and walking after the Spirit (surrendering ourselves and depending on God working in us rather than trying to save ourselves through legalism). Greg and I read and discussed this together. It appears like a small book but it packs a punch with digging deep into Romans and thought-provoking analogies that reminded us of C.S. Lewis' Mere Christianity, and practical application that was challenging and convicting. Definitely a book we will come back to! I have been using Lara Casey's goal-setting guide since 2014 and I am not overstating when I say that it revolutionized the way I look at both short and long-term goals. I love her Instagram feed, where she shares about juggling marriage, motherhood, her career, and her ever-growing garden. Whether in her books, blog, or IG, she is vulnerable, humble, and honest about her past struggles with perfectionism, a need for control, and her faith journey, pointing to Jesus and His grace. 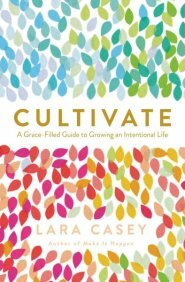 In Cultivate, she uses a plethora of garden analogies to uncover what grace-filled intentional living looks like. She encourages embracing our imperfections; letting go of burdensome pressures; and choosing to plan and plant and harvest what is meaningful in our relationships with God, those around us, and our own selves. The book is divided into two parts: Prepare Your Garden and Dig In. Every chapter has actionable prompts for discussion as well as a ten-week discussion guide at the back of the book, so the reader has practical application of all the principles and wisdom shared by Casey. Each chapter subtitle includes a lie and a truth that will be the focus of that chapter. For example, chapter eight is on harvesting contentment. The lie is that "I will be content when I have it all". The truth is that "I will be content when I live grateful". Instead of rushing through it, I savored the words by journaling what stuck out to me as well as my answers to the discussion guide questions. I also am participating in the Cultivate Book Club on Facebook, where we read and discuss a chapter every week. I will most definitely look back at the book and my journaled notes as I continue my journey in living intentionally and cultivating goals that aren't just a checklist of to-do but rather steps towards living on purpose a life that is rooted in the grace of Jesus. Ever since reading (and absolutely LOVING) Surprised by Oxford by Carolyn Weber, I have been on the search for memoirs about people who become Christians. I am intrigued by their journey and who and what convinced them in their decision to become Christians. 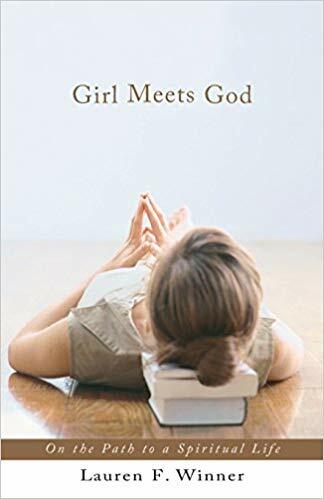 I had heard different references to Girl Meets God so I have been wanting to read it for a few years and finally made time to read it this month. Winner's father is Jewish and mother is Baptist, so she was exposed to both Judaism and Christianity as a child. She developed a strong affinity and devotion towards Judaism early in life, and became an Orthodox Jew while in high school, faithfully observing the Jewish laws to the best of her ability. In college, however, she was increasingly drawn to Christianity and while studying at Cambridge in England, officially decided to leave her Jewish beliefs and become a Christian. Her memoir dives into the idea of reinventing her religious self and whether grabbing hold of her new faith in Jesus automatically meant letting go of everything in her former Jewish life. She is honest, vulnerable, and not afraid to share the messiness on her "bumpy path to Christendom", as the dust jacket denotes. I found the it very interesting to learn more about what it means to be an Orthodox Jew in today's world and enjoyed the way the books was structured on both the Jewish and Christian calendar year as it helped me understand more about Jewish laws and customs. But I felt confused at times with her story as she hopped around between her Jewish years and her Christian years and did not focus as much as I would have liked on the actual season in which she was considering converting to Christianity; there was plenty on before and after, but not as much during, so it was hard to understand how she could have the conviction and courage to leave behind her once-beloved Jewish religion (and all the Jewish friends and community). I also was not a fan of some of the comments she made that seemed prideful and belittling, such as her slight embarrassment and annoyance that Jan Karon's "middle-brow Christian fiction" Mitford series was one of the things that God used to point her towards Christianity, but she says, "it could be worse. I could have come to faith while reading Left Behind"(p. 262). Oh, I am sorry Jan Karon is not high-brow enough for your Cambridge and Columbia-educated self, Lauren (though I did enjoy her chapter on stalking/searching for Jan Karon's house in Virginia when hearing a rumor she moved near to Lauren's childhood home). I was repeatedly thisclose to abandoning this book, but I am glad I finished it as the last few chapters were my favorite in the whole book (one of which was on the Biblical account of Ruth and another on the love of books). Spanning across three generations, this doorstopper of a novel (weighing in at six-hundred pages!) follows Adam Trask from Connecticut to California's fertile Salinas Valley where he befriends the patriarch of the Hamilton family, Samuel, and plans to cultivate the land into his own corner of Eden. But you can't have Eden without The Fall ... tragedy leaves him to raise his twins -- Cal and Aron-- without their mother, and these two grow with a rivalry reminiscent of The First Adam's boys, Cain and Abel. John Steinbeck is truly a masterful author, weaving together the saga of the Trask and Hamilton families with allegories of Genesis and expansive themes such as predestination vs. free choice, the dichotomy of evil (vice) vs. good (virtue) vs. the duality of man (that we have both good and evil in us), the concept of world-building (each character is creating their own reality that fits into what they want to believe is true, some to the destruction of others), nature vs. nurture (our parents' character/sins will affect us vs. we each have a clean slate), symbolism (such as the plethora of C and A names, pointing back to the first brothers), search for one's identity (including a second-generation Chinese man, who easily ranks as one of my favorite characters in the novel), some of the best character development I have ever read (each person has their own unique strengths and weaknesses and even the most hated characters are fleshed out in a way that compels you to keep reading). 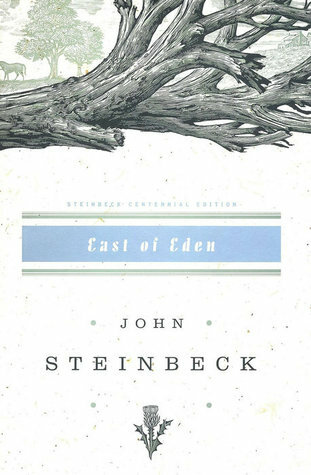 After reading the last page, I ended up listening to every podcast and watching every youtube video about East of Eden to better grasp all of the richness of this masterpiece. I am one of the nerds that relished digging into the weeds of classic novels during AP English in high-school, so it was awesome finding some English majors who reviewed the book and weighed in on the thematic elements, symbolism, and overarching modern-retelling of Cain and Abel. Although Steinbeck wrote from more of a humanistic background, I found it full of great discussion points looking at it from a Christian worldview, including the depravity of man and the hope of redemption and grace. WARNING: There is a bit of language (including the N word), prostitution sadly has a big part of the story and is mentioned quite frequently (including some quite unsavory details), and there is violence and suicide, so if any of those are trigger points for you, be aware before jumping to it. 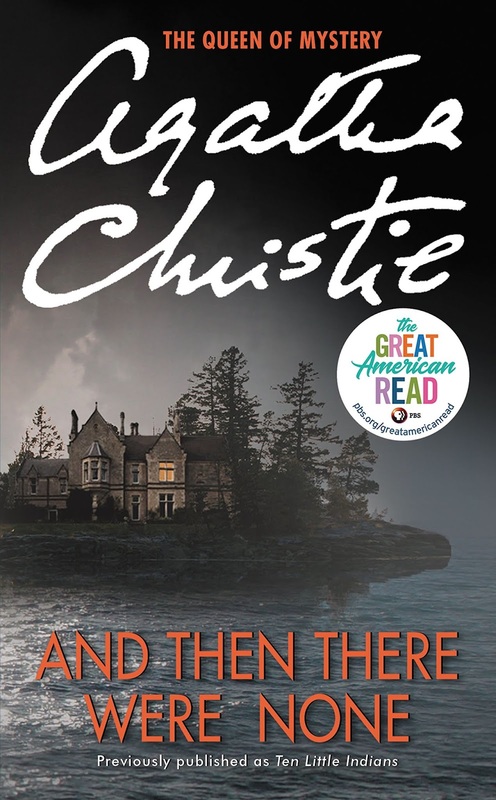 Have you read any great books in July? I would love to hear about them!